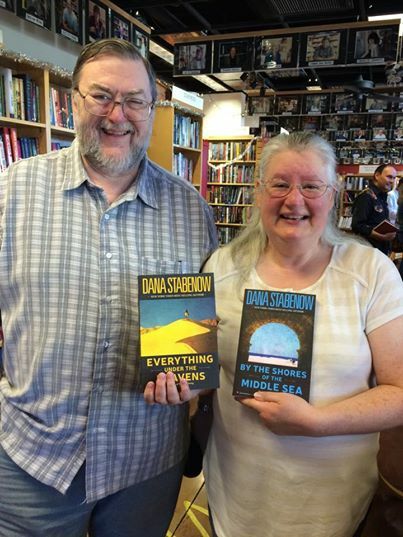 It’s always a party down at the Poisoned Pen Bookstore. Previous post: …a comic convergence Buster Keaton would have envied. Next post: Reason enough for a trip to La Jolla. 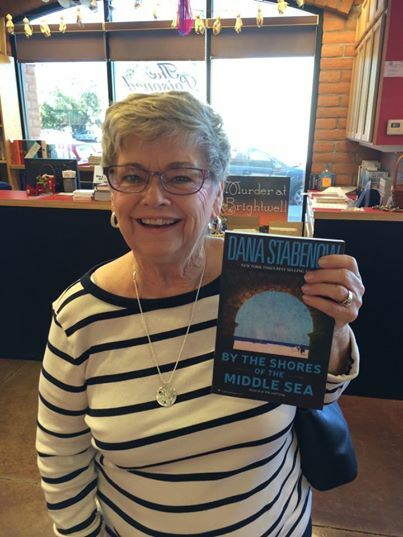 Here’s the livestream from last Tuesday’s By the Shores of the Middle Sea event. I think I can safely say a good time was had by all. 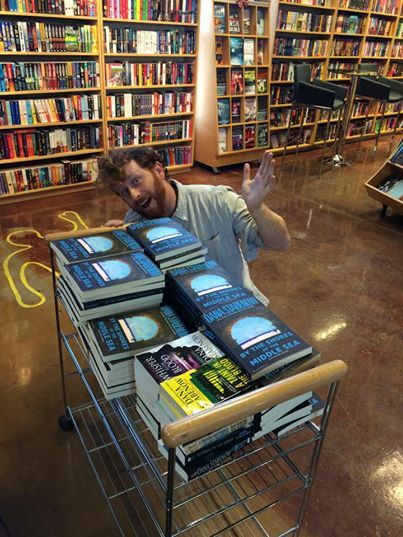 I sure had a blast, and I got to handsell a bunch of books I didn’t even write to fellow readers. Rodney and Laurel (a Danamaniac!) drove over from Albuquerque for their copies. Lee wanted me to tell her friend Davy that there will be another Kate Shugak novel. 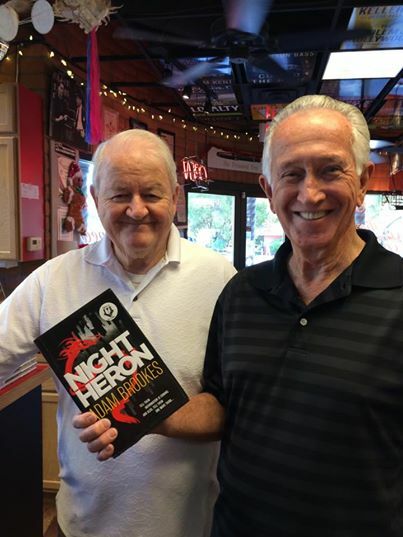 I sold C.T (pictured here with brother Arlen) the last copy in the store of Adam Brooke’s Night Heron. I tried like hell to sell Barbara out of my book, but that happened once and she has sworn never to let it happen again. PP’s Jeff is ready to ship you yours! Click here to order your signed copy of the trade paperback! And in e, from all your finest e-book emporiums. I love the challenge of reading mayos, especially older ones. I really was kept on my toes while reading the Silk and Song stories as the characters progressed from place to place. Ms. Stabenow, Dana, I have read all of the Shugak books. I was determined somehow that the Silk and Song books would not compare. I really underestimated you. I cannot wait for the 3rd book to appear. This was a well-researched and planned story that uniquely combines historical events with fully realized fictional characters who make you want to know them more, and follow their journeys to their endings. I can’t imagine doing this in only 3 books. I know I will be sad to see the series finish. Congratulations, and don’t ever stop writing! Thank you so much for giving me the chance, Marie! Well I must admit, I have tried to read your new series, but I just can’t-I am addicted to Kate and am going through withdrawal!!! I am recovering from back surgery and have tracked down and purchased the entire series and am waiting (not so patiently it seems) for the next one! When, oh when, will that happen??? You should see another Kate Shugak novel in 2016, Marsha.